Though wolves have been relentlessly executed all over the world for centuries now, the tide may be turning. Here are some places where you can see wolves in the wild worldwide. Wolves Are Making A Gradual Return With Increased Protection By Governments Worldwide. Wolves were hunted to near extinction in many parts of the world. Or, they were pushed out of their natural habitats into the most remote places imaginable by human activities. Today, though you can find scattered populations in the world in many countries on earth, the largest concentrations of wolves still remain the northern regions of Alaska, Canada and Russia. This entry was posted in Wolf Information and tagged African golden wolf, arctic wolf, Ethiopian wolff, gray wolf, red wolf, see wolves in the wild, wolf tourism on June 10, 2017 by Roselyn Onuche. 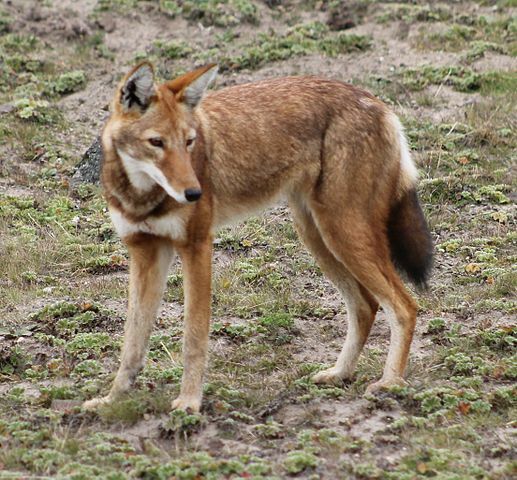 Meet Africa’s most endangered canine, the Ethiopian wolf. The Ethiopian wolf is native to the Ethiopian Highlands and is remarkably similar to the North American coyote in appearance, size, and build. This is a highly specialized wolf because unlike other canids (members of the dog family), it has a specific diet and habitat in which it thrives. It is one of five Canis species living in Africa. They have a more slender build than the more popular gray wolf, its closest relative. This species has a bushy and relatively long tail, pointed ears, slender elongated snout, and long slim legs. They are easily mistaken for foxes and jackals. This entry was posted in Species Profile and tagged Ethiopian wolf, wolf species on June 8, 2017 by Roselyn Onuche. Unlike other major land predators, wolves live mostly in a wolf pack. Why is this so and how do they maintain order? 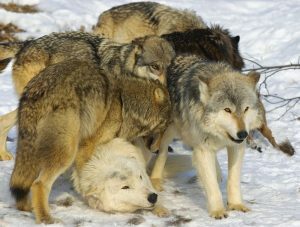 A wolf pack is a group of wolves that live and act together as a social unit. The wolf pack is a family that consists of the breeding pair (parents), and their daughters and sons. The parents are known as the alpha male and alpha female. Sometimes, the sisters and brothers of the leading pair also live in the pack. 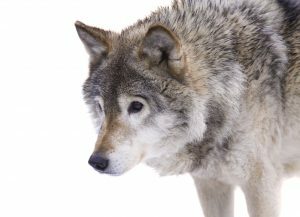 Though the alphas may not necessarily be the biggest wolves in the pack, these individuals are generally the toughest and most respected. This entry was posted in Wolf Information and tagged alpha wolf, beta wolf, omega wolf, wolf pack, wolf pack mentality on June 4, 2017 by Roselyn Onuche. People have been fascinated with, and yet, afraid of the gray wolf for centuries now. Here are the facts about the largest wolf breed on earth, the gray wolf. Closeup Of The Gray Wolf. The gray wolf (or grey wolf) is a native animal of the wilderness and some remote areas of Eurasia and North America. It’s the largest and most well-known wolf species to humans easily distinguished from other wolves by its sheer size and less pointed ears and muzzle. 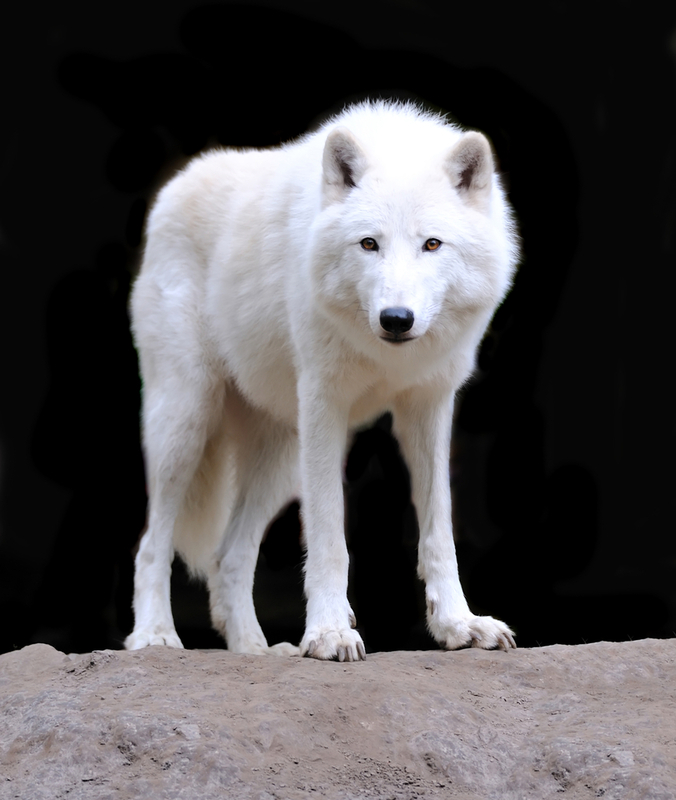 Though called gray wolf, their fur varies in color from mottled gray, pure white, red, brown, and even black. This entry was posted in Species Profile and tagged gray wolf, grey wolf, wolf species on May 30, 2017 by Roselyn Onuche.